When something is unstoppable it triggers and whao you! Whatever definition you have in mind you may want to hold on for a while as the Gx Choir re-defines it. A song was created out of the theme of the conference and has since been the talk of the whole town. 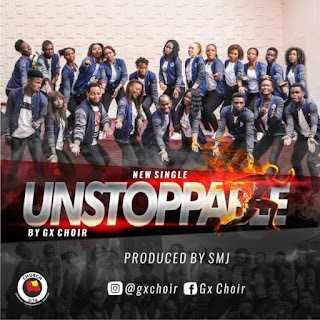 The song was written by the members of the Gx Choir and Pastor J. Gx Choir (Grace Multiplied) is generally known for their immense energy and their unconventional style of Gospel music, in this track is everything you need to be Unstoppable. The song was produced by the popular SMJ of the Xtreme dynasty and ROX Nation under the supervision of Tim Godfrey. The more that we fall, the more that we rise, the stronger we getting it. The trap that they set, the pit that they dig and now we are jumping it. They stole our peace, they stole our joy and now we recover it. Adim unstoppable you want to try!! !